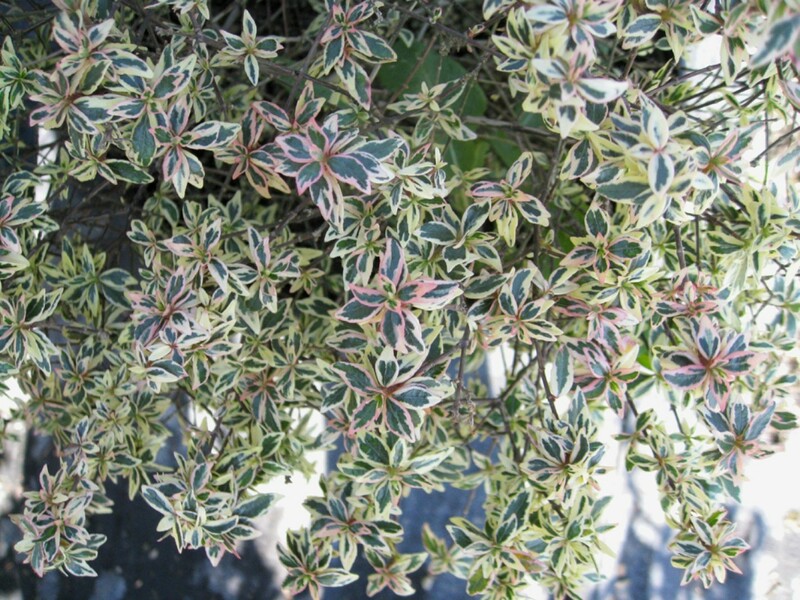 Comments: Semi-evergreen or evergreen shrub, dependingon location, with bright, glossy, variegated foliage. Leaves may be gold and green in winter and white and green in warm months. Great shrub for container plant, in foundation planting and in masses. Butterflies like the nectar it produces.